K-Designers: Do you want Low-E glass with that? Do I want Low what? Low E is an often used term when speaking about windows which is short for Low Thermal Emissivity. Most windows made today come standard with Low E glass. But what is it? How does it work? Do I really need it? Emissivity refers to how an object absorbs and passes on heat. Dark objects have a high emissivity (they absorb and emit large amounts of heat) and light objects have a lower emissivity. The lowest levels are for reflective surfaces. Low E windows have a coating applied to the glass during or just after fabrication but before it’s inserted into a window frame. This coating is transparent and thinner than a human hair. It is designed to reflect certain forms of light (ultraviolet and infrared) without reducing visible light. So why is this good? The portion of the suns light referred to as Infrared light is the primary carrier of heat. Reflecting this light away from your home will keep it cooler. It will also keep the heat in your home from escaping in the winter. 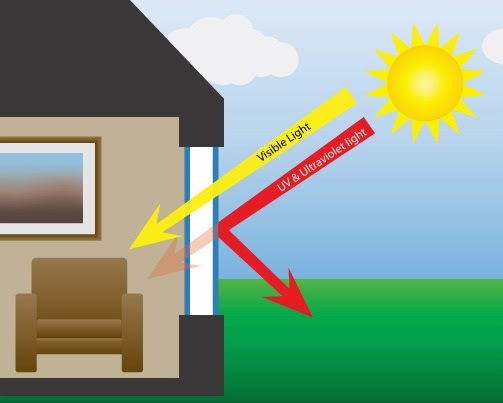 As a bonus Low E coatings also block out ultraviolet light, the primary source of fading and aging due to light exposure. So do you need Low E glass in windows? I would say that in almost all situations Low E glass will be what you want. In those situations where you might not need it (ie. windows in internal walls) it certainly won’t hurt anything. If you are thinking of purchasing windows then let K-Designers guide you. Give us a call 800-728-3902 or visit us online www.k-designers.com and we’ll walk you through all your options.